At MAC, we love family and kids! Explore the opportunities for your children here. At MAC, our kids (infant through 5th grade) experience safe, age-appropriate environments where they learn about Jesus in a creative and relevant way. We would love to see you and your family visit MAC. You can expect your kids to feel welcome and at home. If your baby or toddler decides to stay with you and they get unruly, it's absolutely okay! We love the life kids bring to our services! You are also welcome to hang out in the lobby with your kids if you are more comfortable. If your children would like to take part in our Kids' ministry, we have an amazing team of volunteers who care for our kids each week and help them grow in their relationship with Jesus. All our volunteers are screened and approved through our Plan To Protect process and we use a sign-in system called Roll Call so you can rest easy knowing your kids are safe and secure. Every Sunday we are pleased to offer two nursery options for young children. MAC Babies (ages newborn to 2) and MAC Toddlers (ages 2 to 4) are located downstairs. Children can be dropped off after being checked in at the Kids Check-in desk in the lobby. All babies and toddlers will also be signed in directly in these rooms at any point in the service. Each childcare area is comfortable and fully-equipped. We are committed to providing your children with a safe and secure environment. All volunteers and leaders are screened and trained under our Plan to Protect policy. You will be given a code when you check-in your kids. If our volunteers need to reach you during the service, your code will be displayed on the screen in the auditorium signalling you to return to your children's nursery room. First, find the MAC Kids Check-In Desk in the lobby. There we will meet your family, check your child into our system, and one of our volunteers will let you know the location of your children's age-appropriate class. Before Service: Visit the MAC Kids Check-In Desk in the lobby and your child will be checked in by out of our volunteers. You and your child will be given matching name tags that are exclusive to your family and your visit. Your child will need to wear the name tag portion while you hold on to the matching tag. Children stay with their parents during the worship portion of our service. Kids are then dismissed after announcements into their classrooms. The code displayed on your child's name tag will be displayed on a screen in the auditorium if your attention is required during the service. After Service: After the service is complete, you will pick up your children from their classrooms and show your tag in order for your child to be released back to you. Matteo Gugliotta is passionate about the next generation of the church. 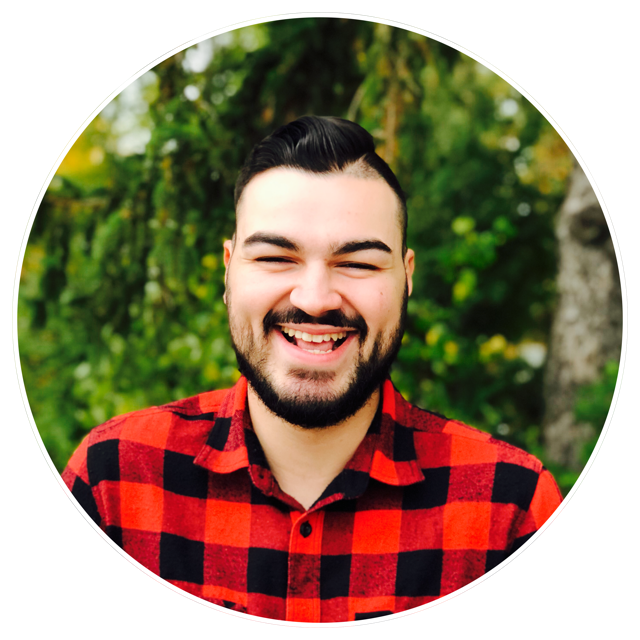 He has been working as the Director of Children and Youth Ministries at MAC since 2018. He loves snowboarding, movies and playing guitar. If you have further questions concerning our MAC Kids experience or visiting MAC with children, simply click the button below and get in touch with us!